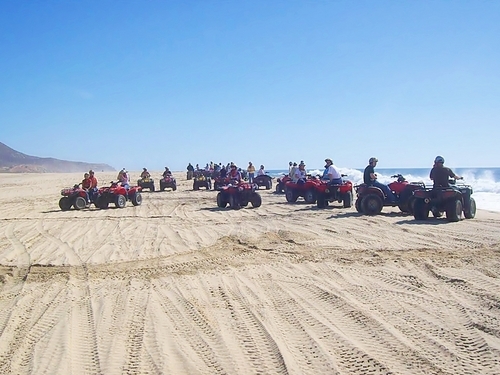 The idea of safety in numbers can be helpful at home or on the road, and it makes sense for various types of Mexico vacations as well. Traveling solo in Mexico is certainly possible, but traveling with a friend or family member allows you to have a system of checks to ensure that there is help if something goes wrong. Whether you travel solo or with a friend, it is important to partner with a company that offers authentic Mexican car insurance from Mexican Insurance Store.com coverage before you head out. Your Mexico insurance policy should address your needs in terms of the value of your vehicle and the level of compensation needed if you have a serious accident. As you handle transactions at ATMs, gasolineras, or in taquerías, you can become vulnerable as you handle your wallet, credit cards, or cash. Of course, it is always wise to handle your funds in settings that appear to be safe. Further, it is sensible to limit the amount of currency that you carry for buying gasoline, food, or other items. Although you might travel with enough money to cover your expenses for the duration of the trip, keep your accessible cash for quick transactions limited. Your health could take a turn for the worse, or you could deal with an injury during your activities across the border. Your Mexico insurance policy does provide for a companion to travel to be with you if you are hospitalized for an extended period, but it can be helpful to have that companion already present. In some situations, hospitals provide the bare essentials and leave patient care to their family or friends. If you will travel solo, be sure that your Mexican car insurance from Mexican Insurance Store.com coverage includes that option of having a companion come to assist in an emergency. Road trip tip: Mexican car insurance from Mexican Insurance Store.com protection can be secured on an iPhone, so buy a Mexico insurance policy ahead of time and save time money and frustration! When you complete the purchase of your Mexico insurance, you will be able to print out your proof of coverage. You will also have access to a toll free contact number for getting help from your provider. Mexican car insurance from Mexican Insurance Store.com includes Roadside Assistance throughout Mexico for your peace of mind! Wherever you roam, let Mexico insurance give you protection. Knowing you’re insured, you have the reason to experience trip fun and worry-free traveling. Typically, the Shrimp Festival entices many people from the nearby communities of Mexico. It also attracts the people situated along the Mexico border. Joining the festival is possible when you have Mexico insurance. Go for the children-friendly direction. There are plenty of colorful and flavorful pure fruit drinks. Drive around Mexico and you will find these traditional drinks everywhere. Prevent your Mexico insurance from being cancelled! Don’t drink alcohol or use drugs if you’re to drive in the country. All Mexican insurance company policies are invalid if the driver is intoxicated. Try the water sports in one of the most popular tourist destinations of Mexico. And if you’re a lover of nature, try the Monarch Butterfly migration.